It’s time to give back to the people who give so much to us. Sacrificing weekends, regular sleep patterns and their sanity just so we can have cheeky chardy’s - bartenders are the unsung heroes, even we curse them Sunday mornings. 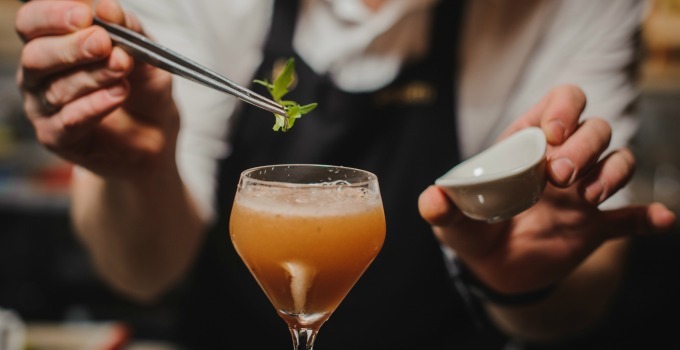 To celebrate World Bartender’s Day on February 24th, we ’ve decided that bartenders need a break from us demanding drinks and making drunk eyes at them over the bar – so we’ve constructed a guide on how to make a bartender’s life easier. Where are you? Are you in a wine bar, a tiki bar, or just popped in for parmie at your local? Established your surroundings? Good. Now – what are you going to drink? Pina colada? Delicious – but where are you? If the answer is tiki bar – proceed. Sophisticated, tiny wine bar? Think again friend. Think again. You order that Grenache and savour. Every. Sip. Is it last drinks or early in the night? Is the bar dead, or so busy that you all you can see is the back of someone’s head and the frantic, flailing arms of the incredibly stressed out bartender in front of you? Now consider again what beverage you would like. An espresso martini? Babe, those are so 2017 but we’ll allow it. Busy bartender? Stop right there. You can have a G&T or you can face the wrath of a bartender who is almost definitely hungover, and might actually cry. They’re probably going to wish they were shaking your neck instead of that cocktail shaker. No one around? ESPRESSO MARTINIS FOR EVERYONE. Between the 19th – 26th February support your local Perfect Blend finalist! The Perfect Blend competition celebrates all bartenders – regardless of experience or years in the industry – bringing together the whole community. Find out who your local finalist is here, swing by and try their signature drink! Celebrate AND promote sustainable culture by putting your money where your mouth is! Travelling bartender duo Trash Tiki are anti-waste pioneers, making drinks from ingredients that would otherwise go to waste. Rock down to Electric Avenue and enjoy duck rillettes risotto and pan-fried duck breast with matched cocktails. Tickets available here. Book an uber and don’t forget your ID! It’s time to raise a glass to the bartenders.